Working in a global network can really open up doors, not just for you but for the people on the other side of the world too. To prove how this can really be the case, one of our members talks to us about how the network has helped him in his work in Myanmar. 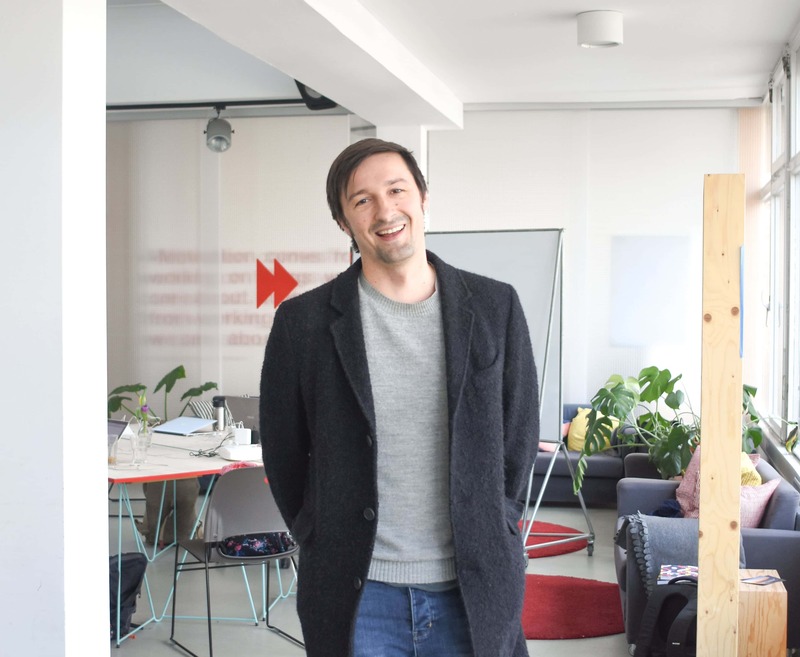 Our Impact Hub Berlin member Christian Koch has been working for GIZ between Germany and Myanmar for the past couple of years and after joining us at Impact Hub in Berlin, he discovered the Impact Hub in Yangon. 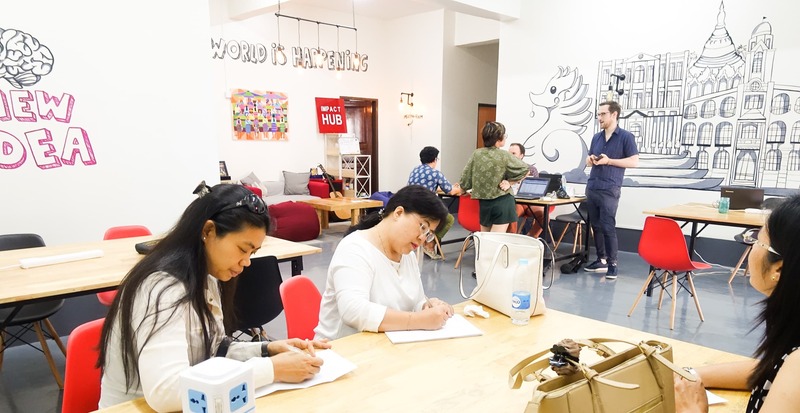 Using these social entrepreneurship connections, he had the opportunity to introduce GIZ to Impact Hub Yangon and demonstrate Impact Hub ideology in action. Christian is working on the Myanmar Change Agent Network (MyCAN) initiative along with his colleagues Birgit Kerstan and Thet Su Hlaing. As leadership and change management professionals working in the country, they witnessed the magnitude of challenges in the transformation of Myanmar’s society and economy since 2011. MyCAN wants to make international best practices in leadership and make consultancy accessible to people active in change processes. The main product is an intensive, year long course with six modules. The mid-term objective is to establish a network of like-minded professionals in Myanmar in close collaboration with local academic institutions, consulting firms, NGOs, universities and think tanks. 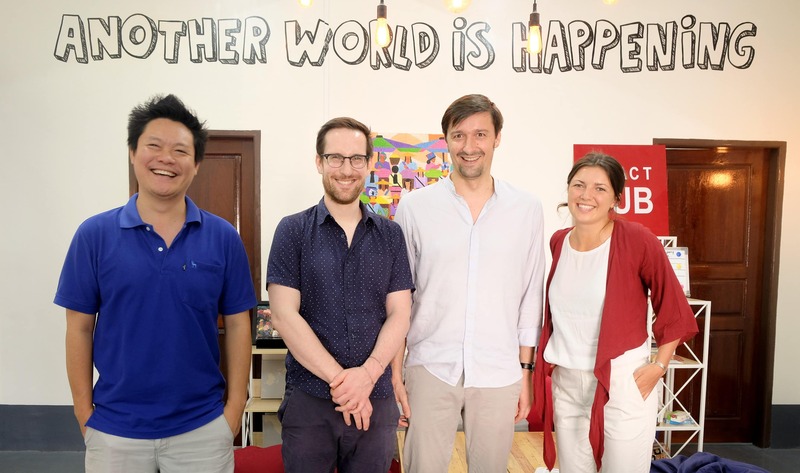 When Christian visited Impact Hub Yangon it was among the first to receive a scholarship for the course provided by Deutsche Gesellschaft für Internationale Zusammenarbeit (GIZ). From left to right – Okka Myo, Co-Founder and Director of Impact Hub Yangon; Klaus Oberbauer, Co-Founder and Organizational Development Lead IHY; Christian Koch, Co-Founder & Trainer My-CAN; and Lenya Bass, Strategic Design Master Student, Design Akademie Berlin (Lenya was writing her master thesis about the course and has supported this module). “Okka’s vision for Impact Hub Yangon is to create a place or a community where Myanmar people can connect to the open world. This will be the place where people will exchange ideas, get better opportunities, innovate, incubate and create new things that will positively impact on the Myanmar social environment, education system and economic development” Quote about Okka from Impact Hub Yangon Homepage. During one of the modules in spring My-CAN co-founder Lwin (Investment Commission) and Mo Mo Theda (President Shan Women Entrepreneurs Association) had the chance to get to know the work of IHY and receive an introduction by Klaus Oberbauer, Co-Founder and Organizational Development Lead Impact Hub Yangon. Seeing how opportunities like this can arise from networking and understanding that people all over the world are in the same situation, trying to work together to co-create and shape a future that we can all be proud of.